FourKites will be a lot bigger by year’s end. On Tuesday, The Wall Street Journal reported that the freight tracking and logistics technology company has just raised a $35 million Series B.
August Capital led the round, which also included existing investors Hyde Park Ventures, Hyde Park Angels and Bain Capital Ventures — the lead investor on FourKites’ $13 million Series A.
FourKites has now raised $51.5 million. FourKites will use the fresh funding to grow its team, develop new technologies and further expand into Asia and South America. According to the WSJ, the company will double its headcount, which currently sits at 160 people, in 2018. 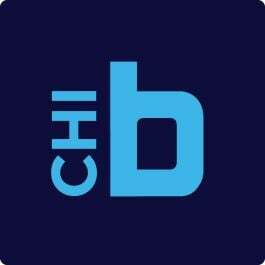 Chief product officer Priya Rajagopalan told Built In Chicago the new hires would be split between the company's offices in Chicago and Chennai, India. On the technology front, FourKites will further flesh out its platform by offering new predictive services, including the ability to forecast when a company's trucks will be empty. FourKites already tracks freight across roads, rails and oceans, using data about weather, traffic and other factors to predict when loads will arrive. FourKites has picked up a lot of momentum as of late. In addition to landing its Series B, the company recently signed deals with Unilever and AB InBev to track shipments across Europe and South Africa, respectively. CEO Mathew Elenjickal told the WSJ that FourKites has seen its revenues increase by more than 400 percent in the past year, and that he harbors no plans for a merger or sale anytime soon. “We look forward to being part of FourKites’ next chapter, as the team scales the breadth and depth of those solutions,” said August Capital general partner Eric Carlborg in a statement. FourKites' growth further cements Chicago’s status as a booming hub for freight tracking and logistics companies. In addition to homegrown industry giants like Echo Global Logistics and Coyote Logistics, the city is starting to attract interest from up-and-comers located on the coasts, such as Flexport, which recently announced its Midwest headquarters would be located in Chicago.